Green Tea has been used as a medicine in China for at least 4,000 years, scientific research is also providing hard evidence about the health benefits associated with drinking green tea since long. It is believed that drinking Green Tea lowers total cholesterol levels, as well as improving the ratio of good (HDL) cholesterol to bad (LDL) cholesterol. Green Tea leaves are steamed, which prevents the EGCG compound from being oxidized. By contrast, black and oolong tea leaves are made from fermented leaves, which results in the EGCG being converted into other compounds. Cancer. Green Tea is rich in catechin polyphenols, particularly epigallocatechin gallate (EGCG). EGCG is a powerful anti-oxidant: besides inhibiting the growth of cancer cells, it kills cancer cells without harming healthy tissue. Rheumatoid arthritis. Antioxidants in green tea may prevent and reduce the severity of rheumatoid arthritis. Lower cholesterol levels. Green Tea has also been found very effective in lowering LDL cholesterol levels (Bad Cholesterol), and inhibiting the abnormal formation of blood clots. Cariovascular Disease(CVD). The reduction in formation of blood clots due to use of the Green Tea takes an added importance when you consider that thrombosis (the formation of abnormal blood clots) is the leading cause of heart attacks and stroke. Red wine contains resveratrol, a polyphenol that limits the negative effects of smoking and a fatty diet, EGCG present in Green Tea is twice as powerful as resveratrol. Improve Immune Function. The antioxidant levels of Green Tea are hundred times more effective than vitamin C and twenty-five times better than vitamin E in protecting our immune systems. Reduce plaque formation in Teeth. Green Tea contains a mineral called fluoride that prevents cavities as well as strengthens tooth enamel. Drinking a cup of Green Tea everyday can help reduce plaque formation and bacterial infections in your mouth. This is because acts as Green Tea anti-inflammatory agent. Prolonging of Life Expectancy. 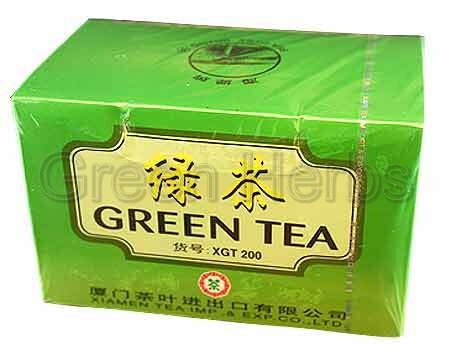 Green Tea protect humans against CVD and cancer, therefore, it is expected that consumption of this beverage would substantially contribute to the prolonging of life expectancy, given that CVD and cancer are the two leading causes of death worldwide. Weight Loss. Green Tea complements the metabolism and can result in weight reduction. Hi there to every single one, it’s genuinely a nice for me to pay a quick visit this web site, it contains valuable Information.